Hello friends! My apologies for the little unexpected blog break. Things got a little crazy with the Holidays and all, not like that's any excuse, but sometimes you just need to take a breather from the cyber world and enjoy life without any interruptions. Anyway, it's December, a new month, which means fresh beginnings. Some of you might have seen on my Instagram, but I have made a little change in my life. Can't wait to show you all tomorrow! Hope you are having a lovely lazy sunday. You shouldn't ever feel like you need to apologize for your absence - whenever you're free, blog! Beautiful blouse! You always look so pretty! Really such a pretty shirt! pretty and cute look ,love your shirt! That's such a cute outfit! I love it! Love this! That top is adorable! I adore your outfit. Happy December to you! Looooooooooooove it! I love the colour combination! Oh, the forest green colour is gorgeous! You're top is adorable! I love it with the green sweater too! So pretty! Your cable knit Forest Green Romwe cardigan is beautiful. 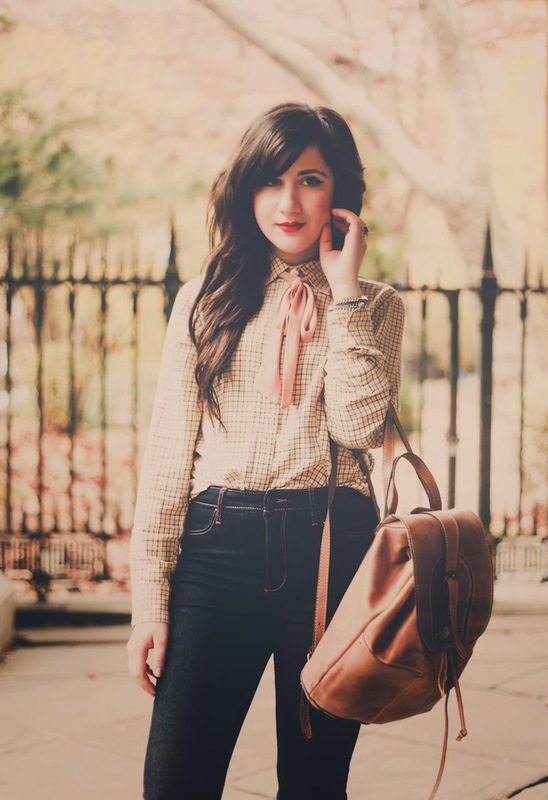 I also love the Peter Pan collar of your vintage top and the cute bow. 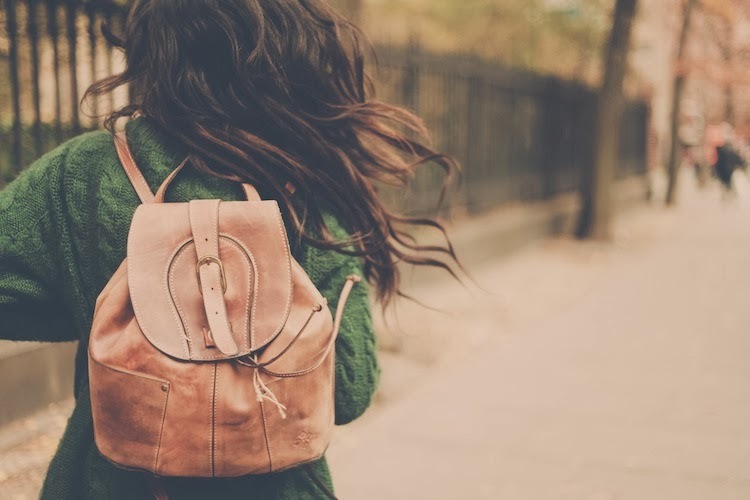 such a sweet bag and sweater! i totally envy you for sweater weather, it's already freezing here! Cute and comfy. Love a good high-waist pair of denim. that green sweater is so pretty! Love this sweater, suits you very much, and the pictures. They look awesome. In Germany it's already too cold to leave the house only wearing a cardigan haha. never apologize!! 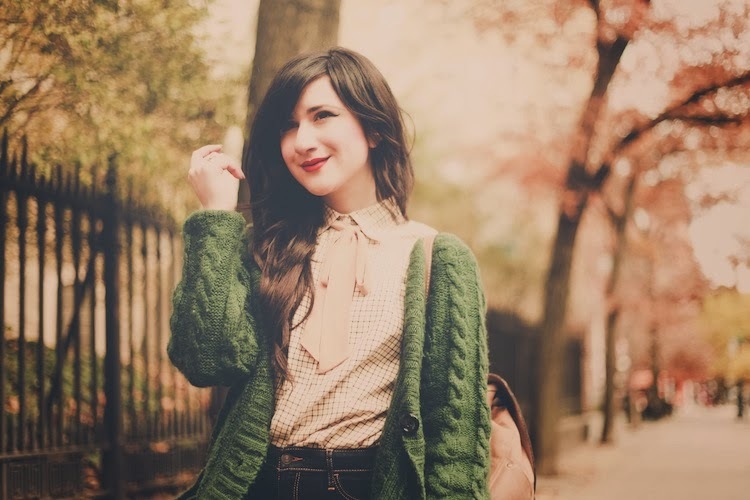 lovely green sweater! love this outfit! and taking a break is always good, it's good to feel refreshed and reinspired.